GENERAL SANTOS CITY- Members of the City Council here asked City Mayor Ronnel Rivera to investigate the irregularities hounding the operation of Small Town Lottery in the city amid reports that the STL franchisee had been shortchanging the revenue share intended for the city government amounting to millions of pesos. City Councilor Franklin Gacal Jr., chair committee on games and amusement, assailed the management of Trento Gaming and Leisure Corp. of shortchanging the revenue share of the city government by misdeclaring the gross income of the STL operation in the city. He said the STL franchisee had declared a P250,000 daily sales contrary to the actual sales of more than P2 million daily of which three percent of the gross sales should be remitted as revenue share of the local government here. 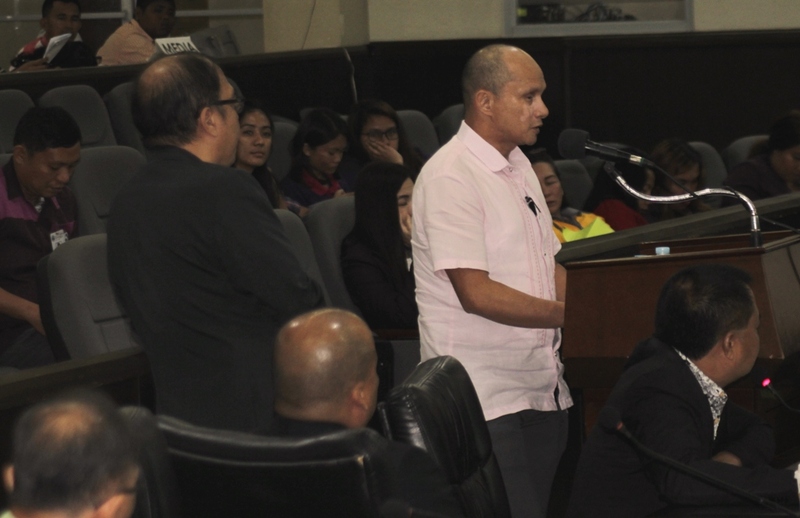 Gacal asked the City Council to urge Mayor Rivera to revoke the resolution which gave the Trento Gaming Corp. the concurrence to operate STL in the city as an alternative to regulate the proliferation of last ‘two’ illegal numbers game in the locality. He said the City Council has approved last June the STL operation provided it will only operate 110 outlets around the city. Gacal lamented that STL outlets had mushroomed to 300 around the city, a flagrant violation to the guidelines issued by City Mayor Rivera which only allowed at least 45 STL outlets to operate in the entire city. With these number of STL outlets in the city, Gacal doubted the declaration of Trento Gaming Corp. that it only generates P250,000 gross sales. Gacal said that since the operation of STL began last June, Trento Gaming Corp has not yet remitted the monthly revenue share due to city government. Misael Hamak, PCSO manager in the city, said their office does not have enough personnel to monitor the operations of STL to find out if Trento Gaming Corp. had violated provisions of the PCSO charter viz-a-viz the operation of STL in the city. Gacal has proposed for the creation of a task force that will be composed of personnel from the local government, local police and PCSO to regulate and monitor the STL operation to ensure that Trento Gaming Corp declare the actual gross sales from STL operation and remit the three percent revenue share due the city government. City Councilor Beth Bagonoc said the management of Trento Gaming Corp. had deceived members of the City Council during its presentation for the application of concurrence with the council that the city government will get its revenue share which will be used to fund its social services programs. City Councilor Ramon Melliza said STL had contributed to the proliferation illegal gambling in the city instead of regulating the illegal numbers game in the area.